Nothing makes diaper changes more fun or fashionable than our Lion Character Changing Pads. They are undeniably irresistible, cute & practical too. 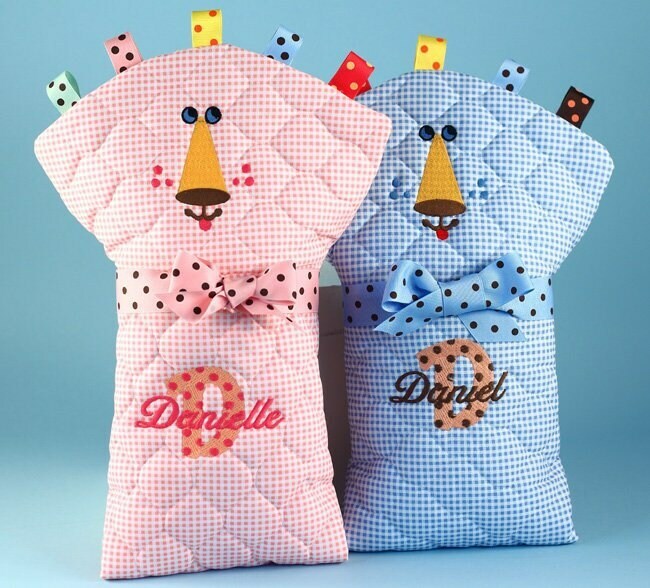 The pink or blue quilted pads with adorable lion character design come personalized with baby's name and first initial through a combination of embroidery and applique. Made in the USA, these Changing Pads are machine washable and generously sized at 18" x 25" to provide a comfortable and soft cushion for baby. A snap to roll up and travel with. This item is made to order. Arrives beautifully gift wrapped in a clear cello bag with ribbon and bow.